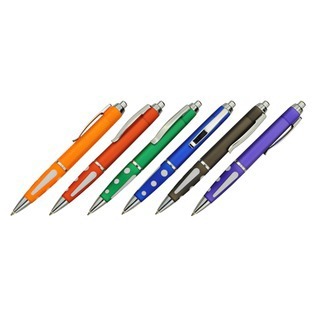 Click Action Plastic Pen, Transparent Colored Body with Matching Colored Grip and Gloss Silver Fittings. Black Ink Refill. Tungsten Carbide Ball.